Toyota has undoubtedly some of the best and economic mid-size cars and trucks for US drivers. No wonder, a majority of US drivers prefer to buy Toyota brand cars. However, some of the latest models from Toyota’s truck series and hybrid series have reportedly shown some faults. Keeping the driver safety in mind, the company has decided to recall a few of its 2013 and 2014 models recently. 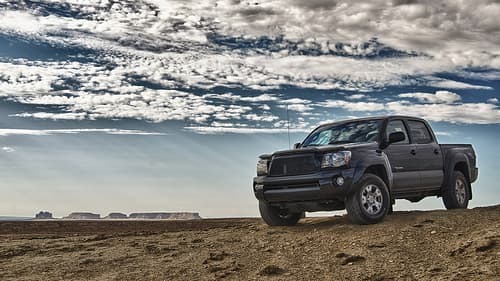 Toyota Tacoma, the famous truck series from this car manufacturer giant, is one of the most popular and economic trucks in the USA. After repeated recall of Prius series, Toyota has now issued a recall for selected Tacoma models sold in 2013 and 2014. 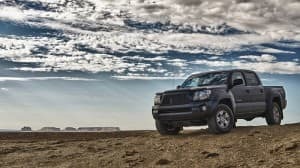 A report from National Highway Traffic Safety Administration also depicts that these Tacoma models show major flaws in engine structure and software, which may in turn cause a worse accident. The report also mentions that such issues may cause the vehicle to stop in traffic for no reason. A spokesman from the car manufacturer company stated at a recent event that most Tacomas built from July to October in 2013 show such fault. At present, the company has been able to detect fault in more than 3,000 vehicles. Therefore, all the models showing any fault are listed in the recall. The spokesman also mentioned about the engine valve problems. The built valve springs in the engine of 2013 Tacoma’s engine can wear off in course of time. Over time, these springs may also break if subjected to stress and pressure. This can lead to engine breakdown, which may increase the risk of vehicle accident. As per the report, Toyota’s spokesperson has mentioned that the company will send out notices by the end of this month. The dealers are also notified about this recall process. That means once each Tacoma owner receives the recall notice, their dealer will contract them for pick up. Also, each dealer of Toyota will replace and repair the valve springs in Tacoma engines without any charge. After all, this recall is all about vehicle stability control. In some cases, Toyota will also update the software system if needed. If a Tacoma drivers own such a faulty vehicle or finds any such problem in their new Tacoma vehicle, he can take his car to Toyota dealers for a free replacement and update.